We see less of French playwright Jean Anouilh these days though in the 1950s and early ‘60s, he was quite the darling, taken up by no less than Peter Brook, Paul Scofield, and Laurence Olivier. 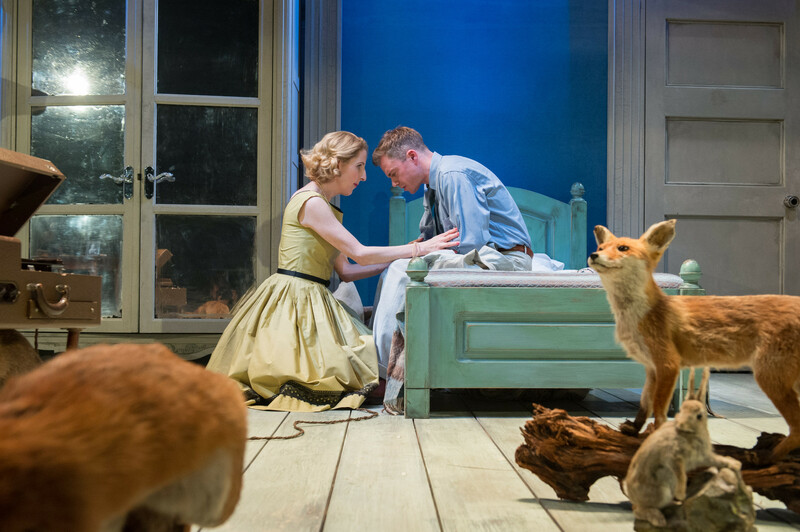 Welcome Home, Captain Fox, for all its top drawer cast and updating from France to the US in 1959 – Long Island and The Hamptons to be precise – probably explains why he’s less palatable for today’s tastes. Le Voyageur Sans Bagage from which Anthony Weigh has taken this new version was his first major success. As directed here by Blanche McIntyre with Sian Thomas, crisply scary as an upper-crust matriarch, it veers between farce and psychological mystery with a self-consciousness that makes working out exactly what Anouilh/Weigh/McIntyre are aiming for a strenuous process. Is it social satire, a sardonic Pirandellian investigation into identity (do we only exist in other people’s perception of us? ); or even – and very apt considering the interest once again in the 1950s and McCarthyism – a comment on post-war American paranoia. It may be all of these things and none of them. There are enough red herrings to lead us up several garden paths, but then again, as things fall out, a predictability in its comedy that makes the journey ultimately stiff and unsatisfying. A soldier returns home after a 15-year absence and incarceration by East European communists. Suffering from amnesia, he has been `rescued’ by one Marcee Dupont-Dufort (a deliciously over-ripe performance from Katharine Kingsley in floral fifties frock), a social-climbing housewife heavily into dog rescues. Quite how dog rescue teams up with personal identity and family fall-outs becomes the play’s dark gravitational centre – its pulling force uncertainty as to Captain Fox (or Gene’s) true identity. But much ensues besides – illicit affairs, race relations – as the past comes crashing up against the Long Island family’s attempt to claim `Gene’ for their own before Gene finally achieves control of his own destiny. 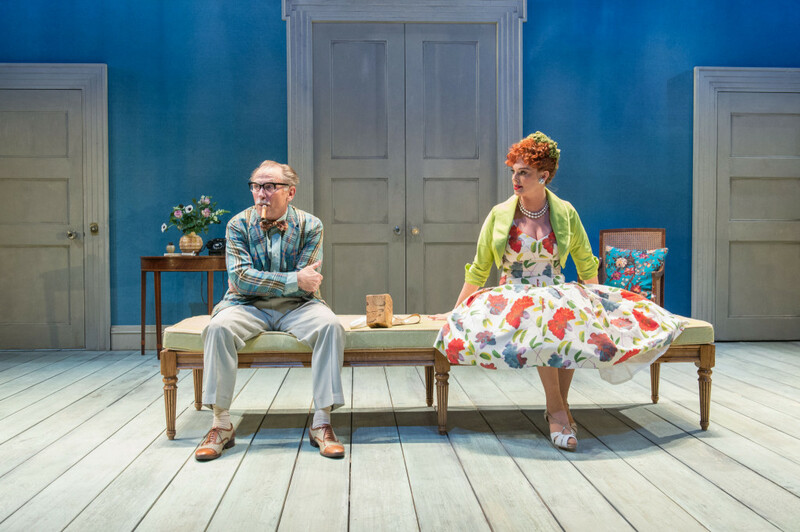 In this confusing pot pourri, the one clear harbour of intention is Danny Webb, a richly comic turn as Marcee’s hen-pecked husband, played with a Groucho Marx glee and waspishness. Worth the ticket alone! 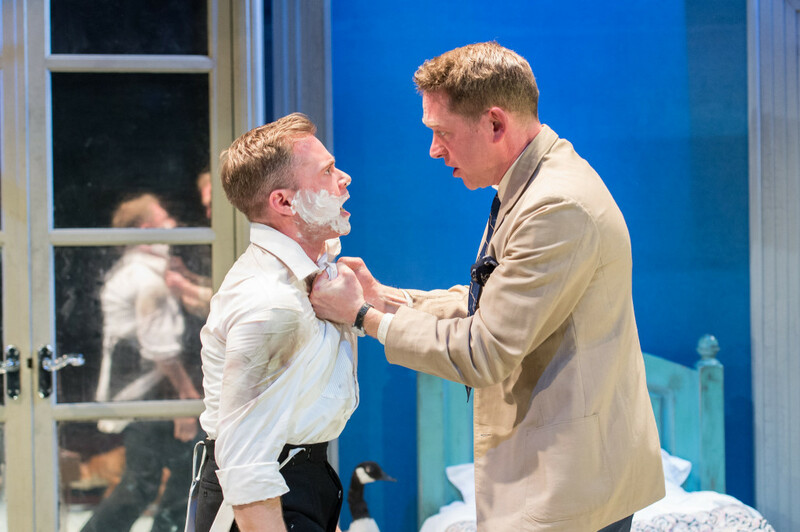 This entry was posted in 2016, Reviews and tagged Blanche McIntyre, Danny Webb, Donmar Warehouse, Jean Anouilh, philosophical farce, Pirandello, Rory Keenan on March 10, 2016 by Carole Woddis.